Likely, many Americans have walked the 630 miles that comprise the South West Coast Path (SWCP). Logistically, the effort is a bit more difficult if one does not live in the United Kingdom (UK), but certainly achievable with time and motivation. 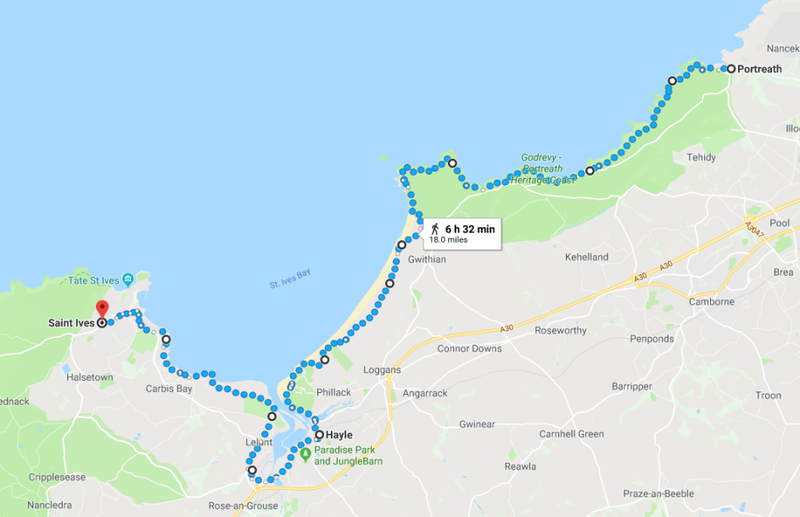 My decision to embark on the UK’s longest National Trail was made without thought to exactly when this would get done necessarily, but I set an objective to complete the entire distance by the time I was … say 70; a round number and not too distant in the future, yet allowing for plenty of time to fit visits into life. 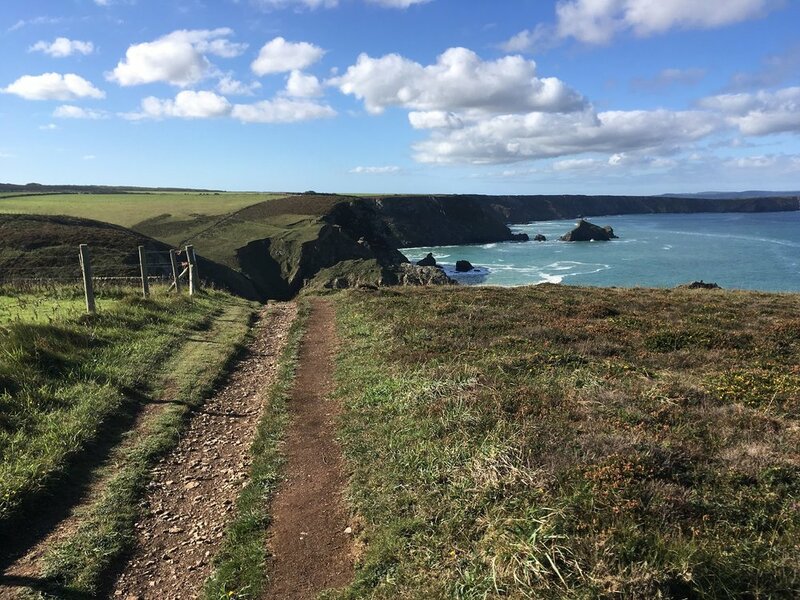 The reasons to walk the SWCP are many – the beautiful and changing coastline, the expansive views, the distinctive geology, the flora and fauna, the terrain challenges, the legends of shipwrecks and smugglers, and often, certainly on the SWCP, the remoteness that tells you this is pure nature. The SWCP is diverse with many remote areas interspersed with more populated areas. In all cases, the infrastructure to support walkers is complete – helpful way markers, accommodations, luggage transfers, designated places to pitch a tent, tucked in pubs and tea houses a short distance off the path, public transportation and taxis services. It gets better --- along the SWCP, the weather is often warmer than in other parts of the UK which is notorious for its deserved reputation for mostly wet. The people are friendly and helpful, they speak English, they like Americans, they like walkers, and as a bonus, the ever present history and gardens along the way. It is a challenge physically and not to be taken lightly -- walking the entire distance of 630 miles, the total ascent of over 35,000 meters is almost four times the height of Mount Everest. Encapsulate all of the above with the claim that the SWCP is a perfect workout with spectacular scenery where the worth and the effort go hand in hand. To round a corner or reach a peak and there in front of you lies a magnificent 360 degree view of your presence on the earth, is that purity of inspiration. The SWCP is, unequivocally, one of the very best activities for the entire body, mind, spirit and being. This series is from along various legs of the SWCP and not in any chronological order. It journalizes impressions on the walk, perhaps the wildlife, the challenges, the folks met in passing or resting on the path, small world stories, anecdotes, and reflections of the heritage encountered and observed along the way. Some walks have stories, or fellow walkers along the way have stories, and some walks have no story. Some days you could walk 5 miles and not see anyone, and other times, it was “crowded” with cows and dogs and people enjoying the day -- but all the paths have their own unique enchantment, touch all the senses, and leave you with a feeling of being thankful to have been a part of the landscape. I arrived on an overnight flight from the USA in the early morning hours and worked my way to St Ives on the Cornwall coast via train from London. There are times when kinks in the logistics and fatigue seem tedious, but looking forward to the path drives me with determination and anticipation. St Ives is charming with cobblestone streets, quaint churches and buildings, and a seaside historic appeal. I arrived in late afternoon, unpacked, showered, and firmed up my plans for where to walk and how to get to and from the walk; to bed by 7:30pm to both catch up with the last 24 hours and to ensure a proper rest for the next day’s walk. After a blissful 11 hours of sleep and a light but energy full breakfast, I took a taxi to the start of today’s walk. The driver filled me in on the more famous shipwreck stories and the history of the small village and fishing port of Portreath. The weather was sunny with clear skies, 9C (48F) in the beginning of the day and 17C (64) by the end of the day – perfect for walking. The path rating, according to the SWCP Association, is easy to moderate which is why I decided to begin this series in the hope that any impacts from my previous day’s travel such as fatigue from the time change will be manageable. I am a little unsettled about the route; well, not the route so much as that I will be walking it alone and thereby relying on my abilities to find my way home at the end of the day. Keep the sea on my right is the plan. I begin my walk up Battery Hill, a great start to get your circulation going and your legs challenged. As I approach the peak, I look behind me and see the picturesque inlet and hamlet of Portreath. There are tales and legends surrounding the many coves, headlands, rocks, islets and flats and hills along the path. Many are infused with mysteries that offer more intrigue. If I am aware of them, I take a closer look. 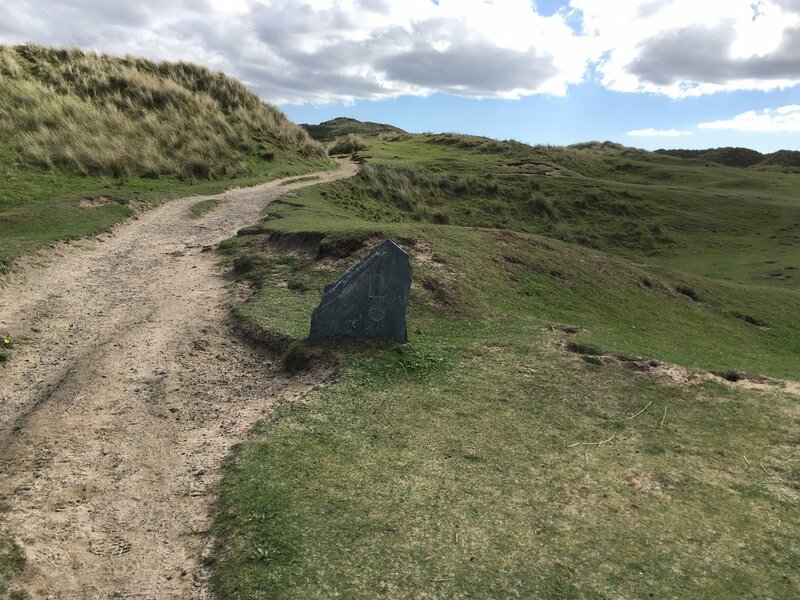 Continuing along the downs cliff top, past names like Ralph’s Cupboard, a collapsed cave home to grey seals, getting named for either smugglers’ treasure or a giant leaving his imprint. Onward past Hell’s Mouth Cove, Dead Man’s Cove and Smuggler’s Cove which hosted many shipwrecks, continuing past the ponies and wild flowers on Knavocks Headland. As I approached Godrevy Head the view of Godrevy Lighthouse (inspired Virginia Wolf’s ‘To The Lighthouse’) was stirring against the blue sky. Toss in a few ancient sites and burial mounds from the Iron Age and my day is full. Approaching Hayle, there are extensive dunes (area called Towans) where my navigation skills were tested with many failed route selections. Finally, circling out of the dunes, I skirted the town of Hayle to get around the estuary, passing the medieval St Uny’s Church , through the dunes joining the seaward portion of St Michael’s Way, arriving at St Ives around 6:00pm. At the walk’s end, as is the case most often, I stopped for an earned half-cider in the Cliffside hotel Pedn-Olva. Then another 2 miles to the harbor to pick up a bite for dinner and back to my guest house. 18 official SWCP miles and another 2 to 3 miles off-piste searching for missing or missed way markers and another 2 to return to my Guest House located on the hill above the village center and harbor. Feet so-so. Back not so very so-so (lighten the pack for future walks) and mental state ran the roller coaster from heel to toe. Stunning views the first 13 miles - dogs galore - and none went over the cliffs thankfully, as I also managed to stay on the path, so all in all a very nice day.